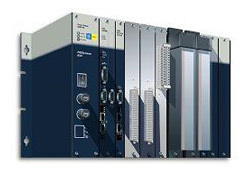 Built on a standard embedded open architecture, the GE IP PACSystems RX7i is the first member of the groundbreaking PACSystems family of programmable controllers (PACs). The RX7i features a single control engine and universal programming environment to provide application portability across multiple hardware platforms. Designed to address mid- to high-end applications for OEMs, integrators, and end users, the RX7i is ideally suited for integrated solutions that require open architecture, large memory, distributed I/O and high performance. Find Price and Availability on any PAC Systems RX7i part by clicking on the Buy It Now button.